The Tomey pachymeter SP-100 covers all your needs regarding pachymetry. Small and portable design, wireless operation and light weight make the SP-100 an “easy-to-use unit”. You need adjustable IOP correction? Easily done! With the programmable IOP formula you are able to get the central corneal thickness (CCT) corrected IOP. 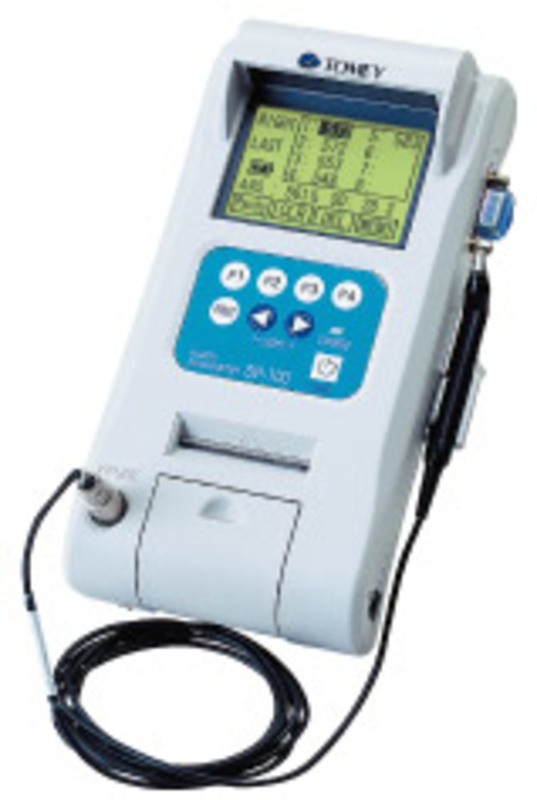 The SP-100 calculates this automatically with the formula of your choice. The system displays the average of 8 measurements. Every single measurement is already an average out of up to 20 exams. You can print your results on the built-in printer or transmit it to a PC or network system via serial port. The printout includes the patient ID, name and measured data. The rechargeable battery with AC/DC adapter has a standby time up to 6 hours.